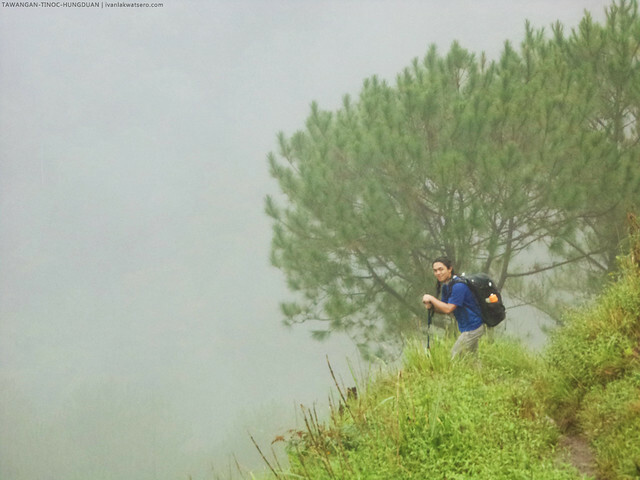 For the wrap up adventure of 2013, I joined PinoyMountaineer's team in an attempt to complete the Grand Cordillera Trail (GCT), a long and continuous hiking destination comprising a series of foot trails, mountains and villages found at the very spine of the great Cordillera mountain range. 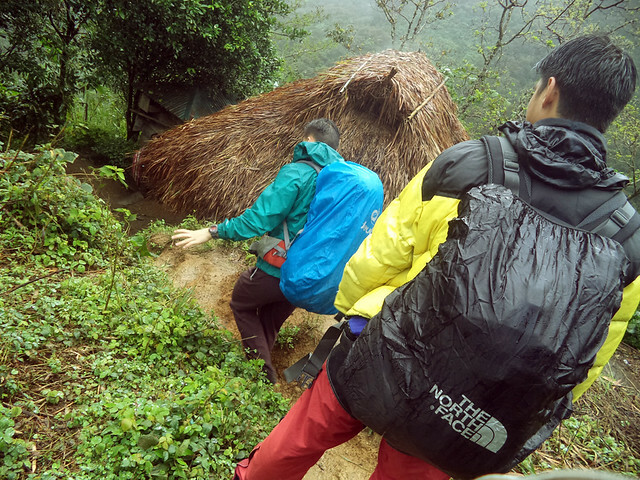 Pinoy Mountaineer has already done a couple of segments for this GCT expedition, first is the Ugo-Pulag connection followed by a traverse of Mt. Pulag via Akiki-Tawangan trails. 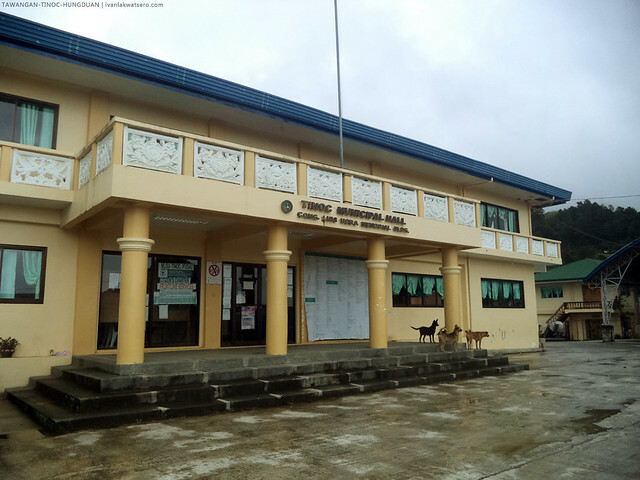 This time, on its third leg, Doc Gideon intends to connect the village of Tawangan in Kabayan, Benguet (where he previously ended his GCT expedition) to Hunduan, Ifugao using only the old, some forgotten, local foot trails. 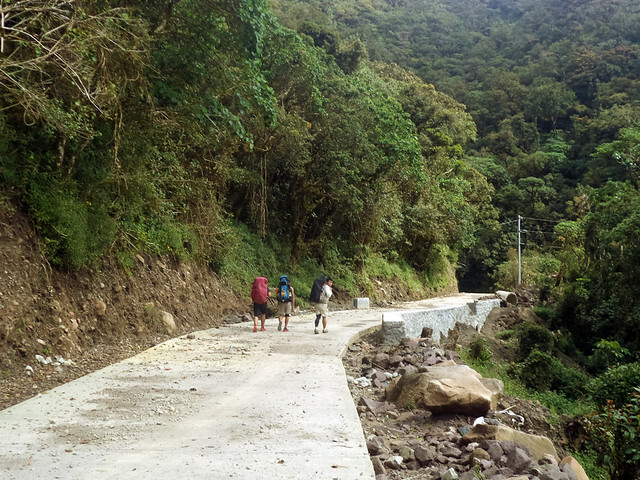 To put simply, the goal of the 3rd leg was to complete a Benguet-Ifugao connection just by foot, whew! It was a great year-ender, which also served as my 2nd year anniversary hike (Batang Lakwatsero has been hiking for 2 years already, yey!). Hours of jeepney ride via the long and winding Bokod-Kabayan-Buguias Road from Baguio City brought us to Lake Tabeo in Kabayan, Benguet. It was around 10 in the morning, and pretty much a fine day to start the our adventure. Behind Lake Tabeo is Mt. Tabayoc, the 2nd highest in Luzon after Mt. Pulag. As much as I wanted to hike it right then (because I haven't hiked the mountain yet), I can't. I guess it'll have to stay in the bucket list a bit longer. Following the round of introduction from each of the participant is a 10-min warm up exercise led by no other than the great Koi Grey. Hehe. I call him great because he really is great. The mere mention of his name could probably shake the mountaineering community. Hehe. Anyway, after all these errands, we proceeded to our hike. The day's goal was Tawangan Village. Start of trek - 11 AM. Actually, our jeepney could've still gone through this stretch of road and continue all the way to Tawangan Village. But a road construction ahead of us prevents any vehicle to pass through. Carrots making their way to the market. 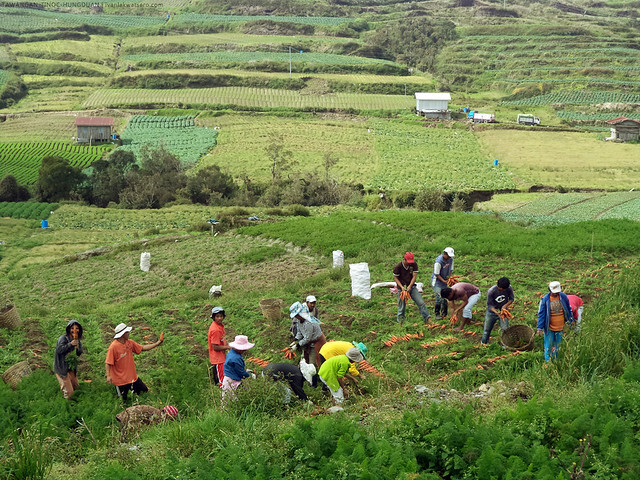 Benguet is after all the "Salad Bowl of the Philippines". The trek, which lasted only for an hour, ran easily over a road. If I remember it right, this was the same road that our group passed down after completing the Akiki-Tawangan Traverse of Mt. 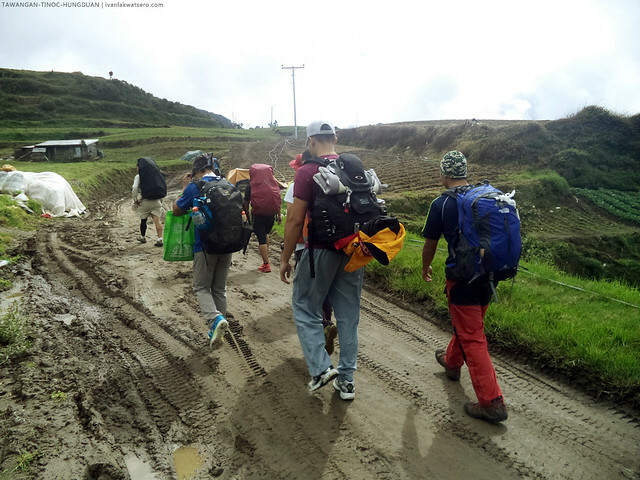 Pulag last April, but back then it was just a rough road. Now, most of that rough road has already been paved with concrete. 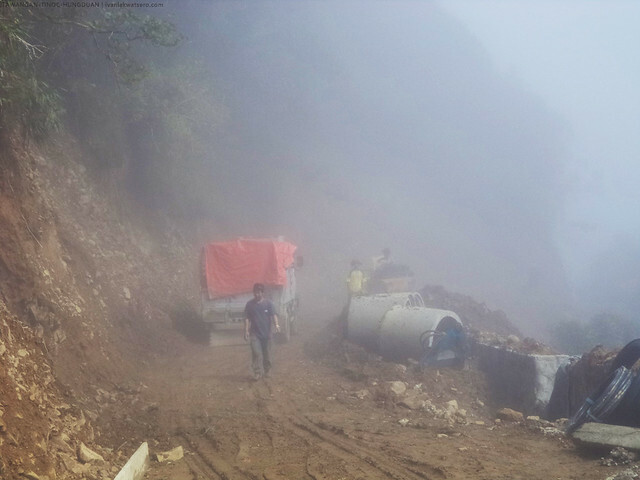 new road to connect Tawangan Village to the outside world. At some portions though, eroded side of the mountain buried the newly paved road. Actually, there was no real action the entire time we were trekking along the paved road. We were just following it down, dodged some rock piles and land slides, then back on track. The pattern continued until we finally reached the part where the road was still being constructed. Fog crept through everywhere as we go further towards the village. Consequently, everything has become less visible. By the time we reached the end of the concrete road, a certain man called us and offered his truck. 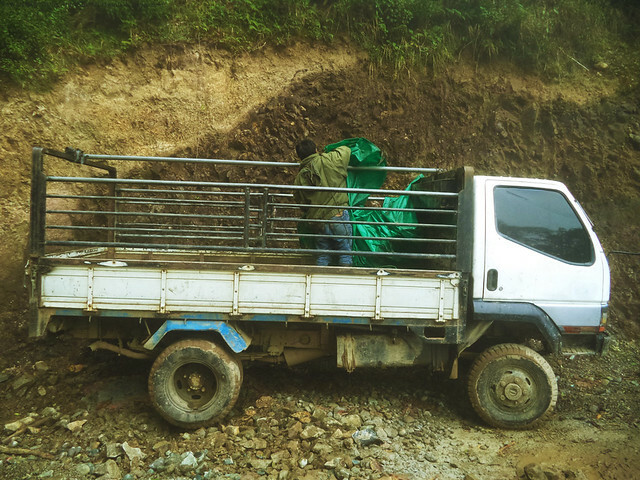 It was the truck that our friend Coby managed to contact to give us a ride to Tawangan village, cutting our trek several kilometers shorter. Yey. What follows next was a bumpy ride to Tawangan Village. We arrived in the village past 1 in the afternoon where the locals welcomed us warmly. They received us and let us stay in their community center. They even cooked for us a pot of local Pinikpikan for lunch. The hungry us, naturally, swept the food in an instant. After settling in the village, there's nothing much for us to do but prepare for tomorrow's journey. And when I say "prepare for tomorrow," it basically means we'd relax, play Pusoy Dos, and consume a bottle of Black Label. Thanks to this group, I learned to play Pusoy Dos and tasted BL for the fist time. haha. With an innumerable rounds of Pusoy Dos, the day ended so fast. And by 7pm, we decided to turn off the lights. We woke up at 5 in the morning, ate breakfast and prepared for our long march from Tawangan Village in Benguet to the adjacent Ifugao Province. I was so excited to start the day, as real action was just about to begin. Sadly though, we had to do it while dealing with the drizzly weather and wet ground. trekking through villages and farmlands makes this hike quite exciting. Passing through a series of hanging bridges, farms and villages, the hike was mostly easy. It was however hazy the entire time, so any view farther than a hundred meters could not really be appreciated. Perhaps the only thing that troubled me was the short muddy descent to the river, which divides the provinces of Benguet and Ifugao. 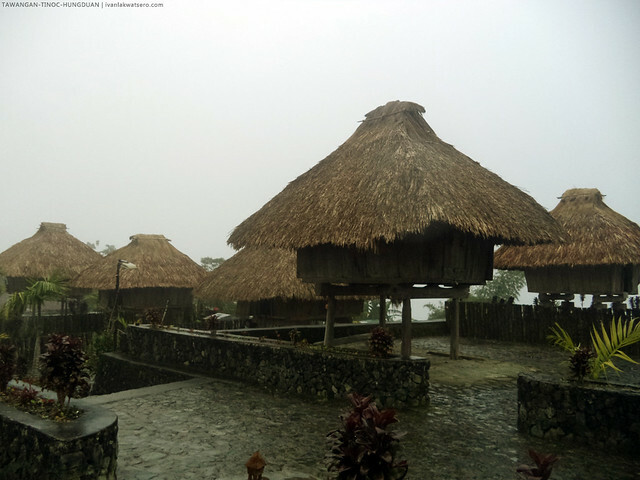 native Ifugao huts were spotted in the last village before we cross the border to Ifugao Province. The feeling was somewhat dramatic the moment our guide announced that we have just crossed the border to Ifugao Province. I'm not sure if my teammates felt likewise, but it really sent off chills to my spine. There was a sense of fulfillment, I guess. 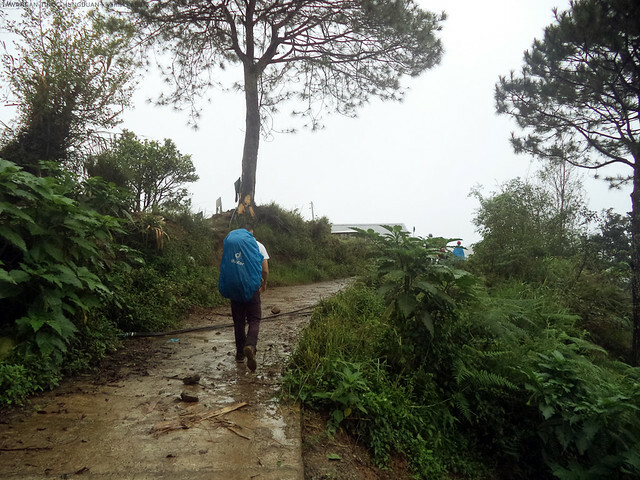 The border crossing was quickly followed by a final assault up a hill, to the first village in Tinoc, Ifugao. 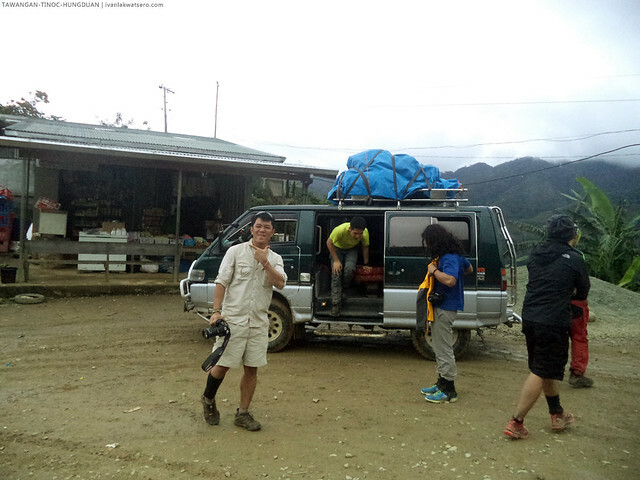 Just 2 hours into trekking, our team reached the first Ifugao Village. Our next goal is to reach Hungduan that same day. But to be able to proceed to our next destination, we had to look first for someone that's willing to come with us to Hungduan since the service of our guide from Tawangan Village ends in this village. The first Ifugao Village. I forgot the name. As a courtesy call, we went first to Tinoc's police headquarters and told them our purpose. But for some reasons, the vibe was quite unwelcoming. I think they see us as treasure hunters. 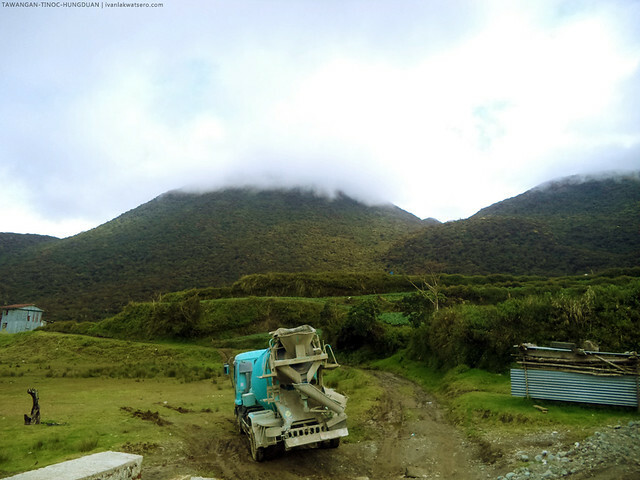 We asked them if there could be existing foot trails between Tinoc and Hungduan which we could use, but we were told that all these have already been converted into roads. Our priority still lies on walking over foot trails, not roads, so we asked again. But all they say was, "no foot trails, just roads." 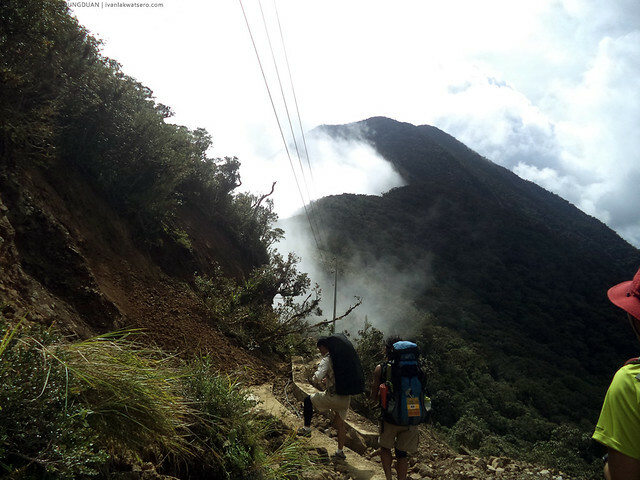 So that time, Tinoc seemed to be a dead end for the continuous Grand Cordillera Trail. At around 11 AM, while feasting on our lunch at a local carinderia, our team decided to just rent a van to Hungduan. To Doc Gideon, it's pointless to walk if there's an easier alternative to just ride a vehicle over the road. It's a sad thing for the GCT expedition, but inside my head, "yahoo! break from long trek!" it's another bumpy ride! Honestly, natuwa ako nung sinabing sasakay ng lang ng van going to Hungduan instead of a miles walk. 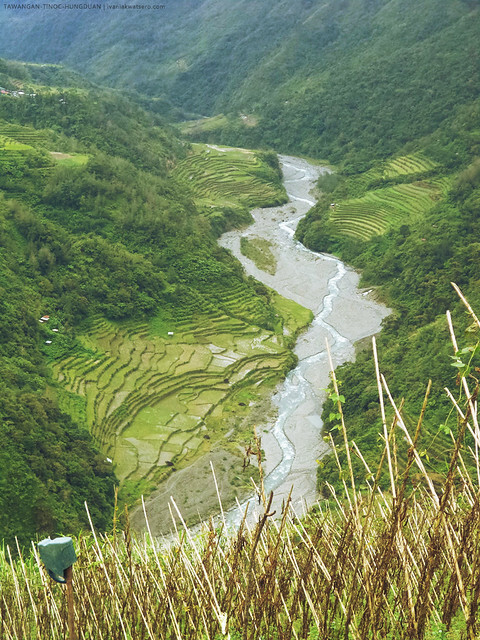 you know you're in Ifugao when scenic view of rice terraces appear on the roadside. Drive from Tinoc to Hungduan took about 3 hours. Yes, it's another bumpy ride, but this time the view were so astonishing. 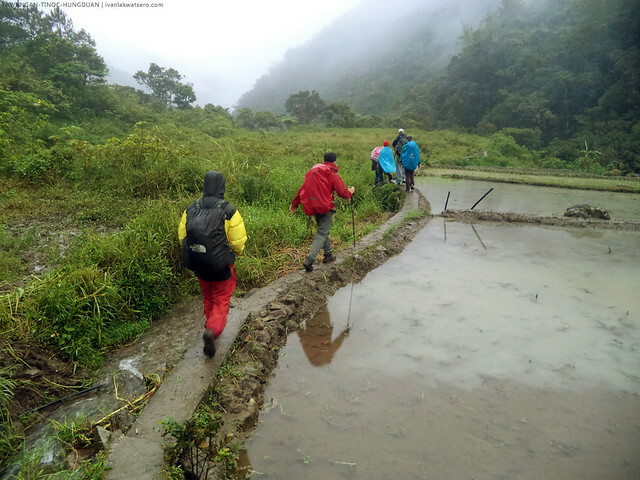 The more it became interesting when we entered Hungduan proper - the terraces of Hungduan is among the 5 clusters of Rice Terraces in Ifugao enlisted as a UNESCO World Heritage Site. We arrived in Hungduan on a very gloomy afternoon, headed straight to Hungduan Police Headquarters for a courtesy call (and hide from the drizzling and foggy and cold weather) then opted to stay in Hungduan Heritage Village. The Hungduan Heritage Village. 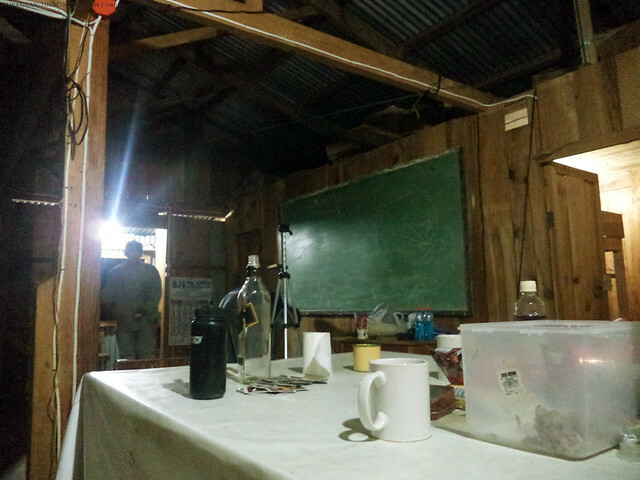 One of the nicest experiences I had in this trip was sleeping inside one of those native Ifugao huts. For the remaining hours of the day, we rested and played again a few more rounds of Pusoy Dos. Tomorrow's gonna be a very big day so we had to rest and gain the much needed energy. Mt. Napulauan day hike coming next.